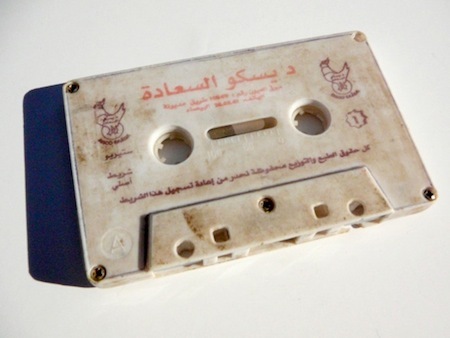 I sent this along with a small stash of other Moroccan tapes to the great Tim Abdellah's Tape Stash , but seeing the quality of his posts lately I thought I'd do him a favour and drop this one here (where quality and reference notes aren't always the first consideration)! Having said that, shoddy quality is what makes this tape so special. Upbeat wonky synth and ultra addictive pop licks, with more than a few tape chomping disasters to add to the effect. The taxi shot is where it came from (generous folk). Smacked against the steering wheel before playing in some superstitious ritual that apparently stops the tape getting gobbled. Someone let me know if they happen to drop track A04 for a room full of party people, cause I've always wanted to myself. Yay! Glad you got this baby posted! I agree the tape chomps are part of the charming patina. 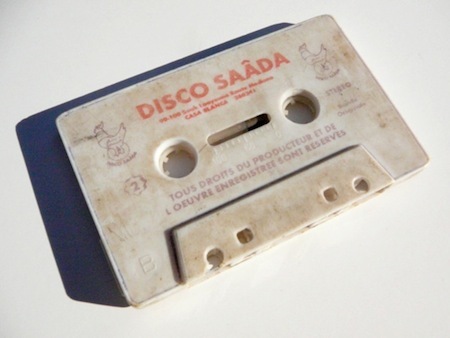 Some of the tunes sound like Moroccan rai to me, and some sound like Algerian rai - couldn't identify any of the artists. Finally got the rest of yer cache posted over at the Stash. Thanks for sharing all of these!